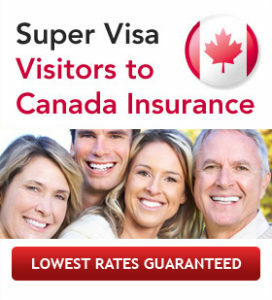 Confused over Super Visa Insurance Procedure? We at Onkar insurance help to guide and assist you with regards to the Super Visa insurance procedure for Canadian immigrants. Call us anytime or request a free quote here. For thousands of people all over the world that are waiting for a permanent residency status application to be approved, or for those people who have majority of their family members residing in Canada, the Super Visa and its requirement for a minimum of $100,000 coverage for emergency medical insurance, is definitely something that has many parents and grandparents on their toes and it’s making everyone ask questions. For some foreign individuals, the new Super Visa is a blessing and a long awaited answer to many, many prayers. For others, the Super Visa insurance requirement may seem a little steep or unfair and may very well cause nothing but unnecessary stress, confusion and is more than likely sending many mixed emotions spinning into the air. This reaction is probably due to the guidelines that the government has put in place, with respect to the Super Visa and the mandatory emergency medical insurance coverage requirement. Are you currently undecided about whether or not to purchase the Super Visa Insurance because you are unsure about the health coverage? Ask your Onkar representative for more information. The insurance policy must be purchased only from a Canadian insurance broker. The applicant must undergo an immigration medical exam. The coverage must be for a minimum of $100,000 and be paid up front for a minimum of 12 months. The policy must also include additional coverage known as “repatriation coverage”. What does the Supervisa Insurance Canada cover? This Super Visa insurance policy coverage term means that, should emergency medical evacuation be necessary for a patient; that all flights home will automatically be covered by the policy. Often, when older people seek insurance coverage, they run into issues due to their age and possible underlying health conditions they may have. For this reason, it is important to be clear about the extent of your policy’s coverage with respect to your older parents and even older grandparents that are expected to travel to Canada. It is a good idea to find out if the insurance company charges a cancellation fee, in the event that the Super Visa is canceled, if the length of stay changes or if the Visa gets denied for any reason. It is equally important to find out what your rights are and what happens to the 12 months of payment, in the event of other unexpected circumstances that could arise, that could cause a default in the policy. The brokers at Onkar Insurance know that when it comes to the health coverage of you and your loved ones, you can never be too careful. Get Your Free Insurance Quote now. We will happily guide you in all steps of the Super Visa Insurance Procedure. That’s just one reason why your Onkar Insurance Representative is just a phone call away!